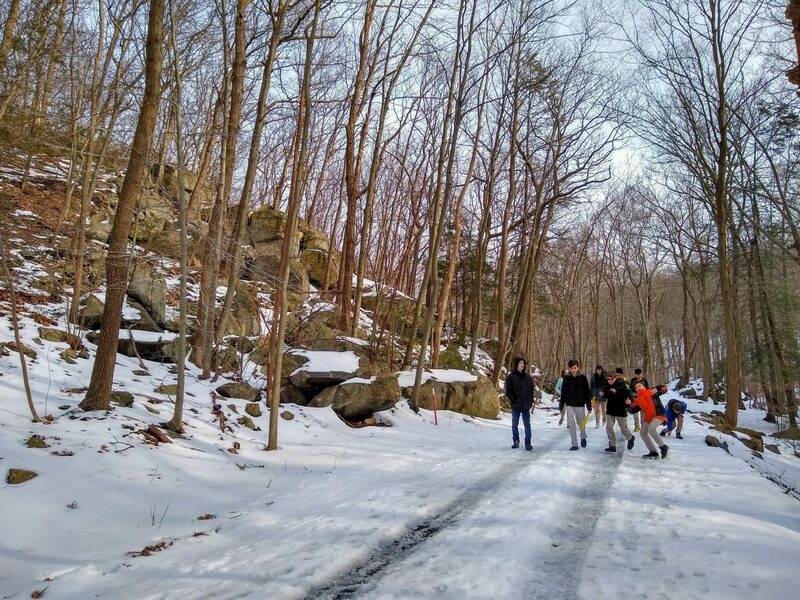 One important mission of teachers at The Storm King School is to find continually innovative ways to engage their students in active learning, no matter what their discipline. 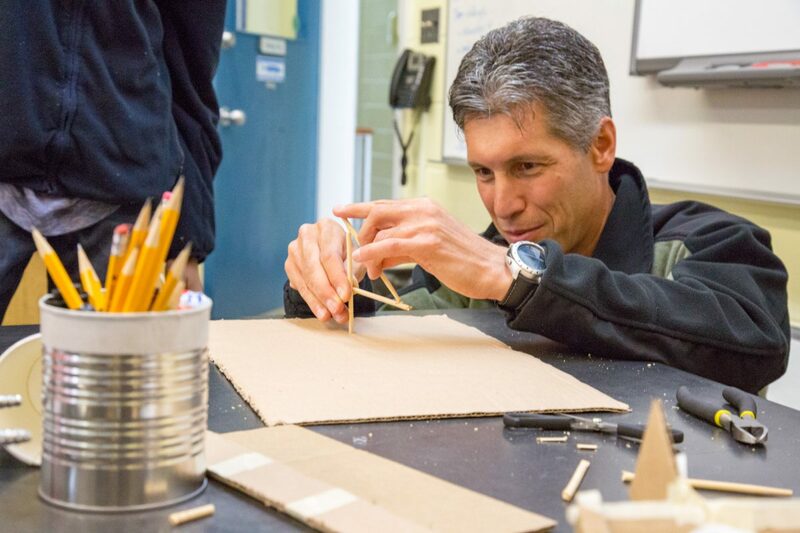 When it comes to science–namely physics, chemistry, and biology–Science Department Chair Dr. Paul Feffer believes that modeling is an important approach which can be used to capture the imagination of students at every grade level. According to Dr. Feffer, the modeling “cycle” was developed for physics initially but can be extended to chemistry, biology, and even mathematics. “Initially, I was looking at modeling for my physics classes. Now, teachers have also begun using this methodology in our chemistry and biology classes. Last summer, I organized a faculty workshop on campus with the aim of promoting the use of modeling in our biology classrooms. 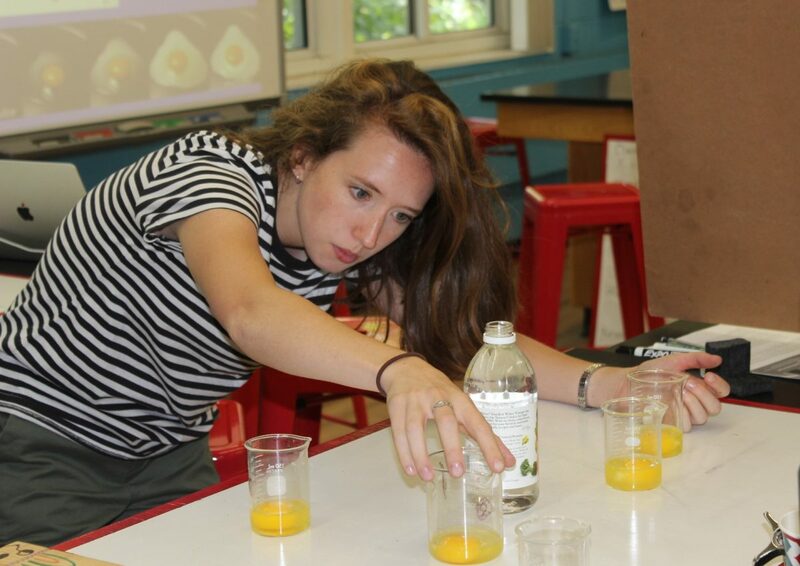 During the two-week program, teachers practiced thought-provoking experiments and analyzed findings as they switched between student and teacher roles. They also discussed the pedagogical rationale for all aspects of modeling in biology. The workshop was led by Glen Stuart, a master New Jersey science teacher, and organized with the help of STEMteachersNYC, an organization that I’m involved with,” he explains. Science and math teacher Lindsey Plummer is one of the Storm King faculty members who attended last summer’s workshop. This year, she is using the modeling approaches she practiced with her 8th-grade science students. For example, in their most recent experiment, the class ventured into Black Rock Forest to measure the length of a stream; then were encouraged to model different ways to determine the speed of the running water from one point to another. Ms. Plummer was very impressed with the students’ work: “I utilize modeling in my 8th-grade Earth Science class. After measuring the stream, I gave the measurements to the class in groups. Their assignment was to find a way to estimate the flow of water in m^3/sec. 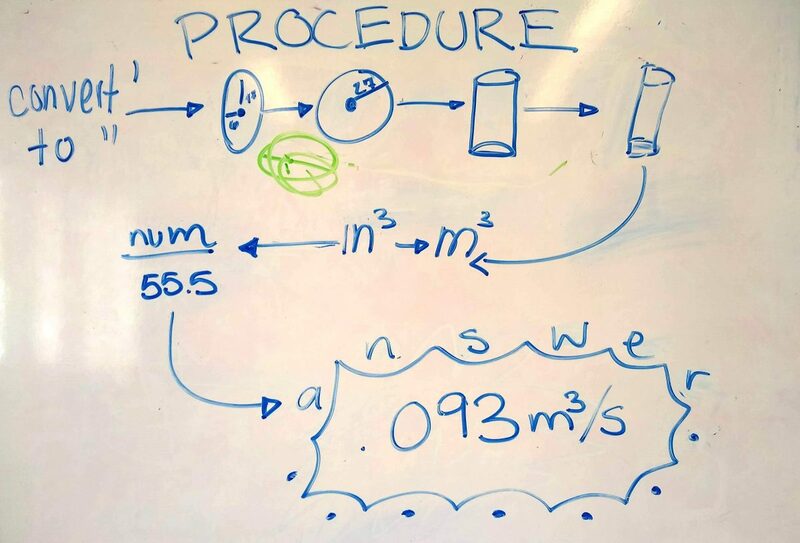 They pulled together what they knew about units and geometry to make the calculations, resulting in a couple of different, really creative methods,” she explains. Outside of the Sciences, Dr. Feffer also encourages a small group of math students to experiment and have fun with mathematical modeling. Earlier this spring, juniors Jae Hyun Kim, Naunet Leonhardes-Barboza, Emmanuel Davis, and June Young Jang successfully completed the MathWorks Math Modeling Challenge–a national math modeling competition for high school students. Through their participation, the students worked as a team to tackle real-world problems under time and resource constraints, similar to those faced by professional mathematicians. “The students worked hard over one Saturday from about 9:00 am until 11:00 pm. The team prepared a very respectable paper and they may even have a shot at getting to the next round,” explains Dr. Feffer. 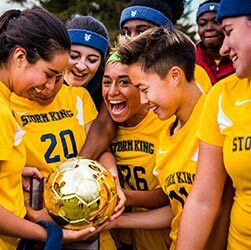 Whether the students win the prize or not, it’s clear that modeling at Storm King is here to stay. “Our goal as academics and as science teachers is to get students to see themselves as scientists. To do this, it’s all about creating opportunities for students to be the doers of science! Teachers can support this by helping students see the everyday phenomena around them and then help them break down and understand the scientific concepts that make these phenomena possible,” continues Dr. Feffer.